I've been pleasantly surprised by how much difference my kitchen window solution has made to our inside comfort level. I was on a mission to achieve more window dressing today and enlisted Nick's aid. The air conditioner window was first on our list. 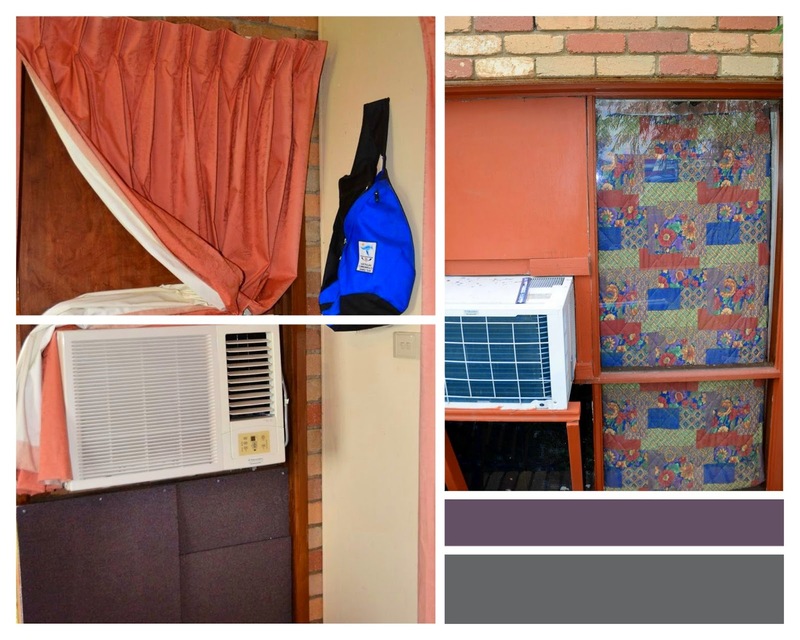 In recent weeks one curtain has stayed open, leaving the panels above and below the air conditioner exposed. Nick tacked some of our carpet tiles in place so they covered the small glass panel. A piece of pre-quilted fabric was strung to cover the other glass panels (beside the air conditioner). The smaller photo shows the view from outside. The dining area window was next - shown in the second photo collage. 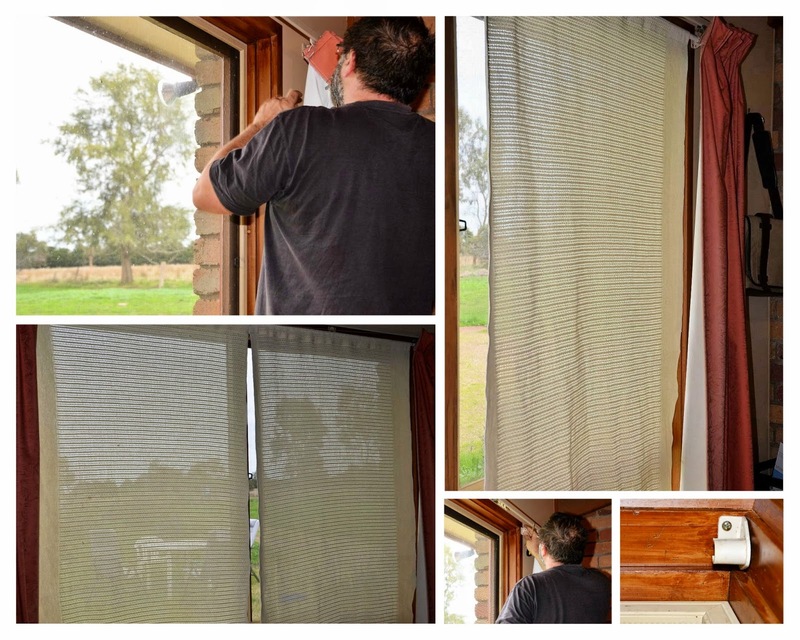 This took quite a while, mainly because I wanted to be able to open and close the insulating "curtains". I made them from a cotton weave blanket, which was purchased new for Erin's baby bed! While out this afternoon, we got some hooks. 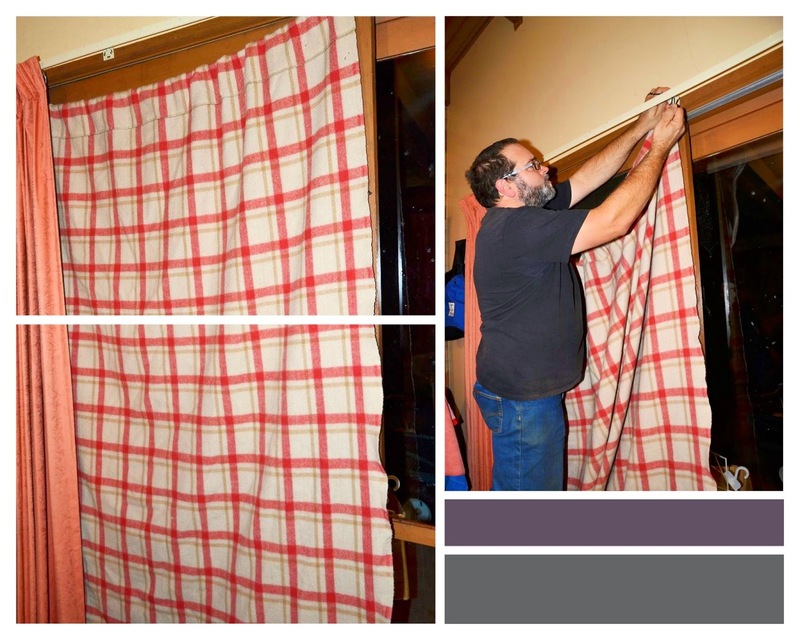 I'll get Nick to install them tomorrow, so I can create curtain tie-backs to hold the blanketing aside during the day. I've been pondering our entry sliding door for a few weeks. I can't find the old blanket I had intended to use so decided to hang this one instead. It's a bit flasher than the MIA cheapie - but it's important to create a good first (door) impression!